In an op-ed for UPI, Professor Ivan Sascha Sheehan, the Executive Director of the School of Public and International Affairs at the University of Baltimore, the leading academic assure the United States that it should not fear regime change in Iran. Professor Sheehan writes, “when the United States hosts a conference on the Middle East in Warsaw, Poland, this month, it will be an opportunity to set Iran on a different path.” The US Secretary of State Mike Pompeo arranged the upcoming conference to explore strategies aimed at curbing the Iranian regime’s threat. The conference “will be focused on confronting Iran’s regional influence and its belligerence,” Sheehan writes. Although not explicitly stated by Trump, Sheehan suspects that the president’s goal would be to see regime change in Iran and the arrival of democracy. “The Iranian opposition’s leader, Mayam Rajavi, has long advocated for the international community’s support for a free Iran, and she has done so while emphasizing that this support ought to consist only of political advocacy, economic sanctions, and diplomatic pressure,” Sheehan explains. 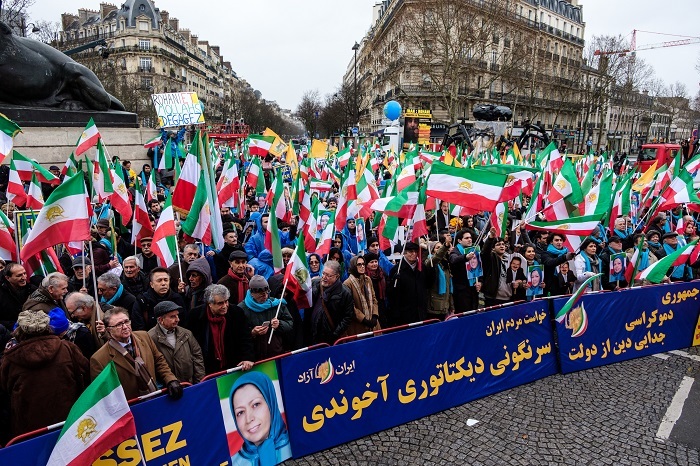 The Iranian opposition and the People’s Mujahedin Organisation of Iran (MEK), therefore rejects military interference from Western governments. It maintains that the Iranian people are the key to regime change. 14 months ago, at the end of 2017, Iranians began taking to the streets to call for regime change in what would quickly become vast nationwide protests. The protests, in December 2017 and January 2018, rapidly spread to all 31 of Iran’s provinces and united all segments of Iranian society under the banner of regime change. 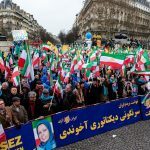 “Less than two weeks later, as regime authorities struggled to stifle the movement, Supreme Leader Ali Khamenei attributed it to the MEK”, Sheehan writes. The MEK has been instrumental in coordinating anti-regime protests across Iran. Units of MEK members are active in all of Iran’s cities, organizing and advertising protests and opposing the regime’s violence everywhere it is on display. President Trump has publicly expressed support for the Iranian people. In a speech at the UN, he called them the longest-suffering victims of the regime. The only thing that remains to be seen is in what capacity the US will lend them its support. With US sanctions in place, the first step for the US is convincing the EU government to follow suit. Europeans have been reluctant to acknowledge the Iranian threat. Following Trump’s withdrawal from the JCPOA, many European governments continued to try and salvage the deal. Many European companies and nations are also exploring ways to bypass Iranian sanctions. But “following the revelation of multiple Iranian terror threats directed at Western interests, accompanied by Tehran’s open rejection of a U.N. Security Council resolution concerning ballistic missile tests”, Europe is beginning to come around. It recently announced EU sanctions against a branch of the Iranian Ministry of Intelligence (MOIS). However, this should just be the start.